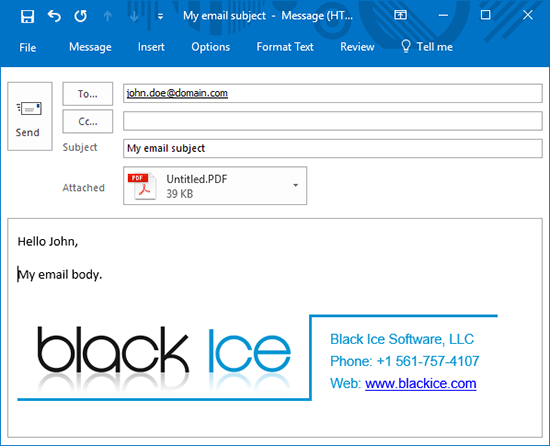 Black Ice Software - Add a Customized HTML Signature to Your Emails with Print2Email! 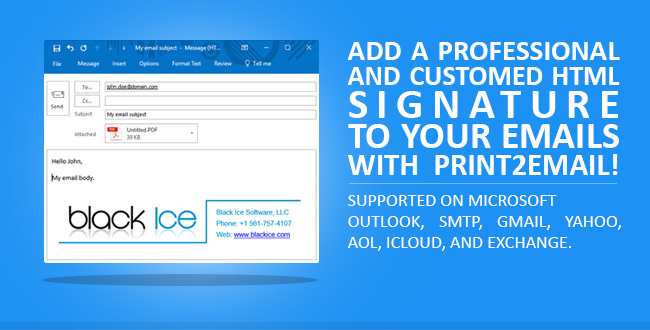 Add a Customized HTML Signature to Your Emails with Print2Email! With Print2Email’s ability to read HTML code in the email body, users are able to easily configure a professional and customized HTML signature in Print2Email. This signature can be used every time when sending a document via email. Users can write their own customized HTML signature, or they can select one of the following templates and simply replaced the name and logo. Once your HTML code is complete, you can set it up in Print2Email. 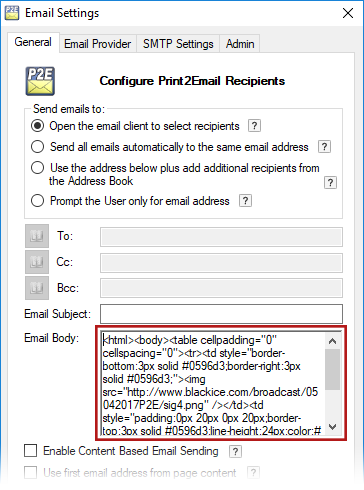 To add a customized HTML signature to the email body, add the HTML code to the Email body in Print2Email's Email Settings. Once the HTML signature is added, Print2Email will use it in the email body every time when sending a document in email. Please Note: In order to use HTML email sending with the Outlook client, please select Outlook or MAPI compatible client email provider and check the Turn off Outlook Security Alert popup window checkbox.